Nashville via LA songwriter Jenny O. will release her sophomore full-length next month, the follow up to 2016’s Work EP. 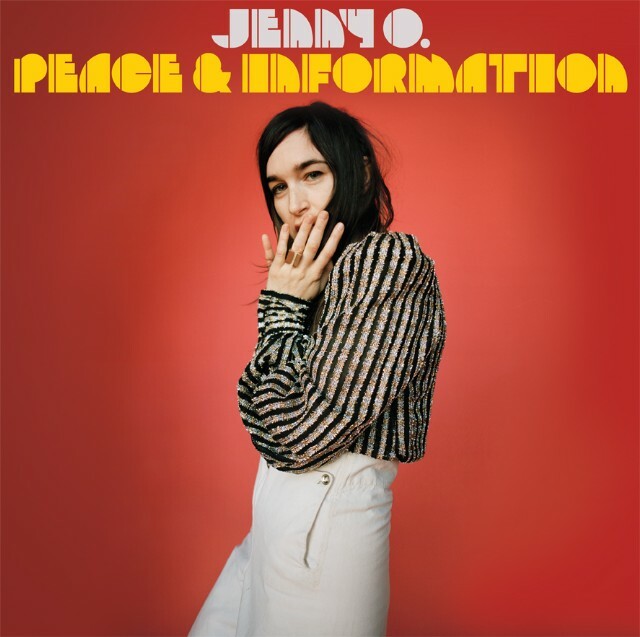 The album is called Peace & Information, and today we’re debuting lead single “Case Study.” Jenny O. produced her latest material over the course of a particularly trying year, during which she made the move from Southern California to Nashville and confronted a series of personal and professional challenges. This first single is a wonderful introduction to Jenny O.’s voice, which has the effortless, calming quality of someone who’s been doing this for a long time. On “Case Study,” Jenny O. looks at a relationship that’s quickly going under. “‘Case Study’ was written about an attempt at love between two people who are very similar but instead of complimenting one another they are caught in a power struggle,” Jenny O. tells us. “Specifically, it comes from experiences as a musician trying to date another musician.” Listen to “Case Study” and check out Jenny O.’s tour dates below. Peace & Information is out 8/4 via Holy Trinity Records.